Arthur Agatston, MD, attended New york University School of Medicine. He did his internal medicine training at Montefiore Medical Center at the Albert Einstein College of Medicine and his cardiology fellowship at NYU. 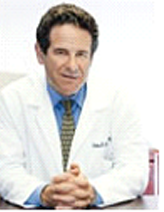 He spent a year on staff at NYU while training to best combine both academic medicine with clinical practice. Agatston then moved to the Mt. Sinai Medical Center in Miami Beach, associated with the University of Miami School of Medicine, and later became the director of the Mt. Sinai Non-Invasive Cardiac Lab. Agatston continued to pursue his practice and research in the field of noninvasive cardiac diagnostics, specifically in the areas of echocardiography and transesophageal echo. He began lecturing regularly and published articles in academic journals on topics such as aortic stenosis, pericarditis, and hypertrophic cardiomyopathy. He also became involved in several societies including the American College of Cardiology, the American Society of Echocardiography, and the American Heart Association, where he served as president of the Greater Miami Chapter. Agatston and his colleague Warren Janowitz, MD, a radiologist, did early work on quantifying calcium in the coronary arteries as a measure of arteriosclerosis (as a predictor of heart attack and stroke). He is one of the developers of the electron beam tomography scan, or EBT, a screening method used to detect coronary artery disease and other diseases. EBT scans for this purpose are given a score on the “Agatston Scale,” to gauge the severity of the disease. Agatston’s first nonacademic work, provides an important prevention message. Agatston did not set out to develop a weight-loss diet. His role as a heart doctor was to help stop his patients from having heart attacks and strokes. With the advent of the “statin” drugs and further understanding about lipids and cholesterol, he knew there was more he could do. He studied the work of Valetin Fuster, MD, and Bill Castelli, MD, of the famous Framingham Heart Study and pursued the use of EBT as a screening method for early detection of atherosclerosis. He knew his patients weren’t faring well on the standard American Heart Association diet; in fact, they were getting heavier and their blood chemistries weren’t good. Agatston began to investigate diets and the origins of insulin resistance. He studied everything about lipids and diet and the role prevention played. He developed theories based on the glycemic index, which reflects the body’s blood sugar and insulin response to various foods. His studies tested whether by stabilizing insulin levels, hunger and cravings could be controlled, thus leading to weight loss, improved blood chemistries, and consequently the prevention of heart attacks and strokes. The outcome was the South Beach diet, which not only improved cholesterol and insulin levels but also helped many people lose weight. He presented his findings at a national meeting of the American College of Cardiology and the American Heart Association. The word spread throughout Miami, prompting the local ABC affiliate to do a month-long series on the South Beach diet, which was repeated for two years. Agatston maintains a private practice as a partner at South Florida Cardiology Associates and lives in Miami Beach with his wife and two sons.